It must be said—summer in the city is an unpleasant business. Excessive heat, mystery smells, subway stations without A/C…all can test even the most patient of people. Mercifully, though, our headquarters on Madison Avenue is within four hours (as the crow flies) of the beaches of Long Island, New Jersey, Massachusetts, Maryland and Delaware. (What the East Coast lacks in year-round warmth, it more than makes up for in geographic proximity to stellar vacation spots.) So, when it came time for our editorial team to plan a summer weekend, we knew just who to call. With Southeast Light in the background, Howie sets his lens on the property’s grounds. They offer views of the Atlantic and the windfarm that sits three miles offshore. 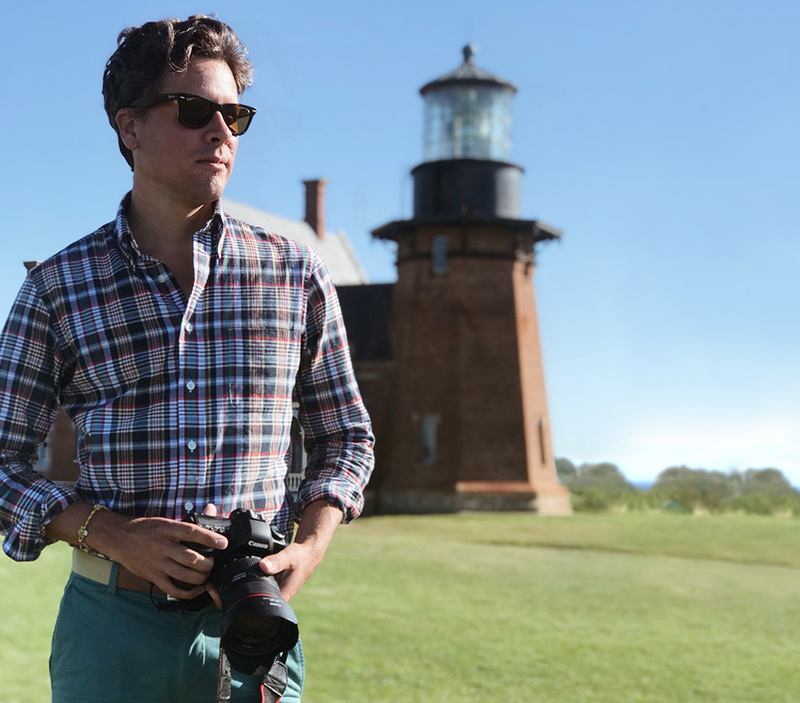 Bellport, Long Island’s favorite son and friend of Brooks Brothers, Howie Guja, is known for his eponymous Instagram account (@howieguja) chronicling his travels around the United States—and practically absurd quaintness of his hometown. 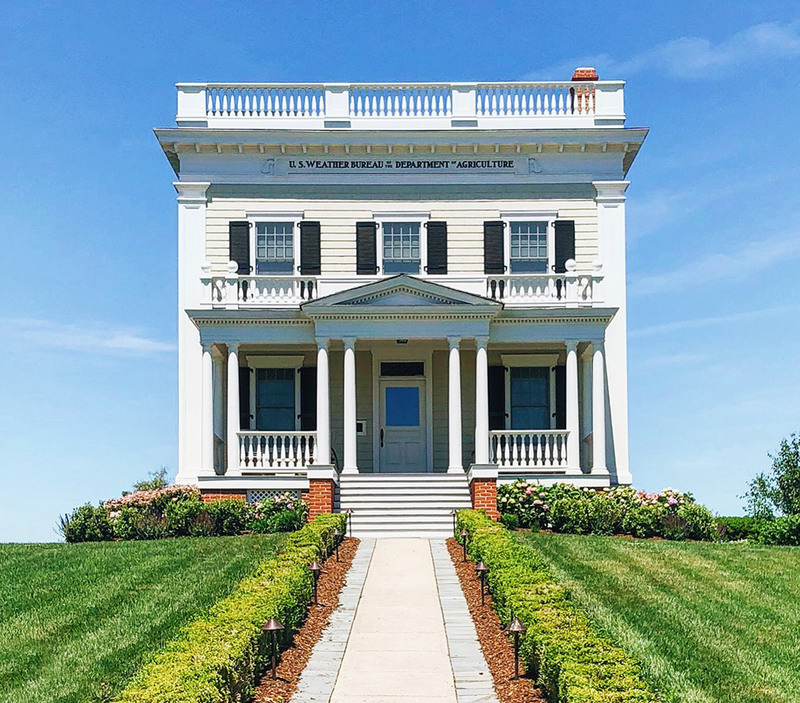 Needless to say, when he mentioned an upcoming destination wedding on Block Island, a hidden gem just 12 miles off the coast of Rhode Island, we immediately began packing our bags. As our unofficial tour guide, Guja set out to show us the best of “BI,” capturing the essence of the island—from its windswept beaches to its dramatic rolling hills. 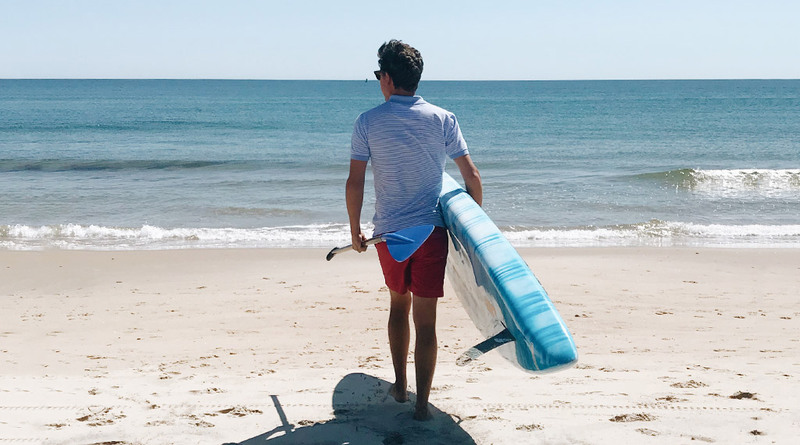 Located on the east side of Block Island, Crescent Beach is perfect for paddleboarding. Ahead of his trip, Howie prepped a bag of Block Island essentials. 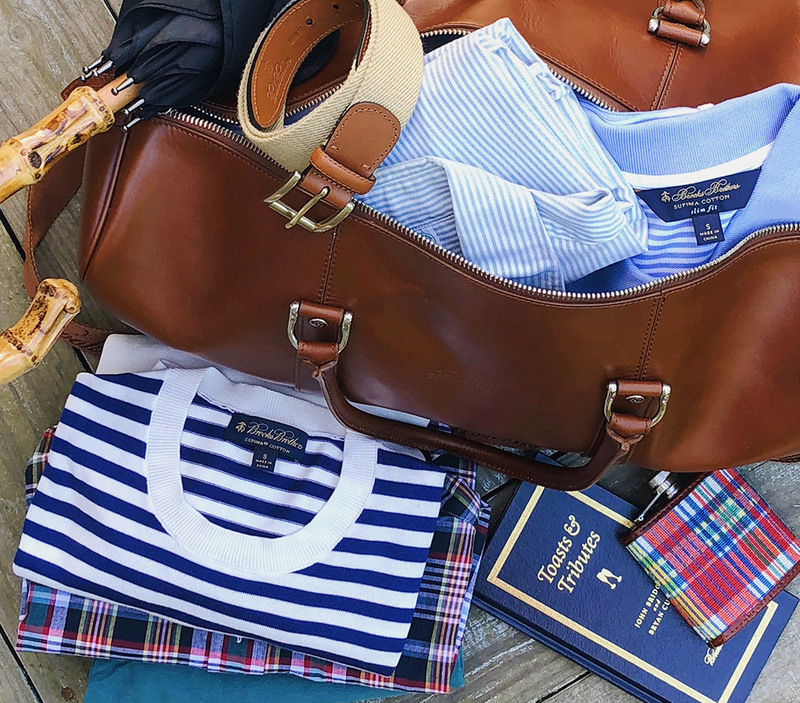 A polo, oxford, shorts (and a madras-wrapped flask) are on his official packing list. 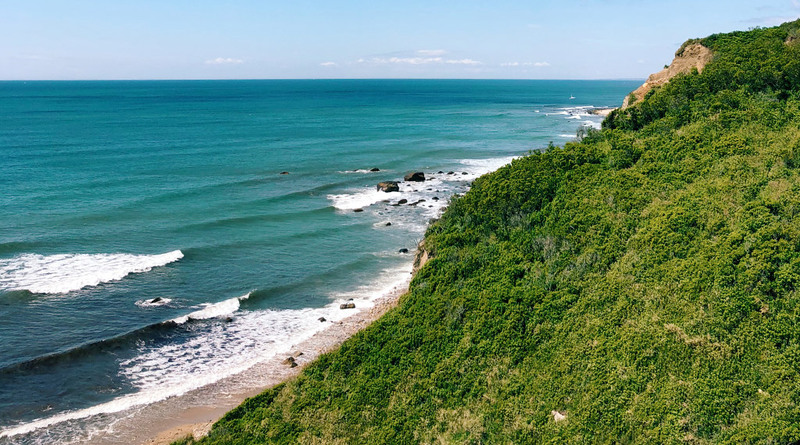 The dramatic beauty of Mohegan Bluffs—200 feet at their peak—makes the spot one of the most photogenic on the island, offering panoramic views of the Atlantic Ocean. 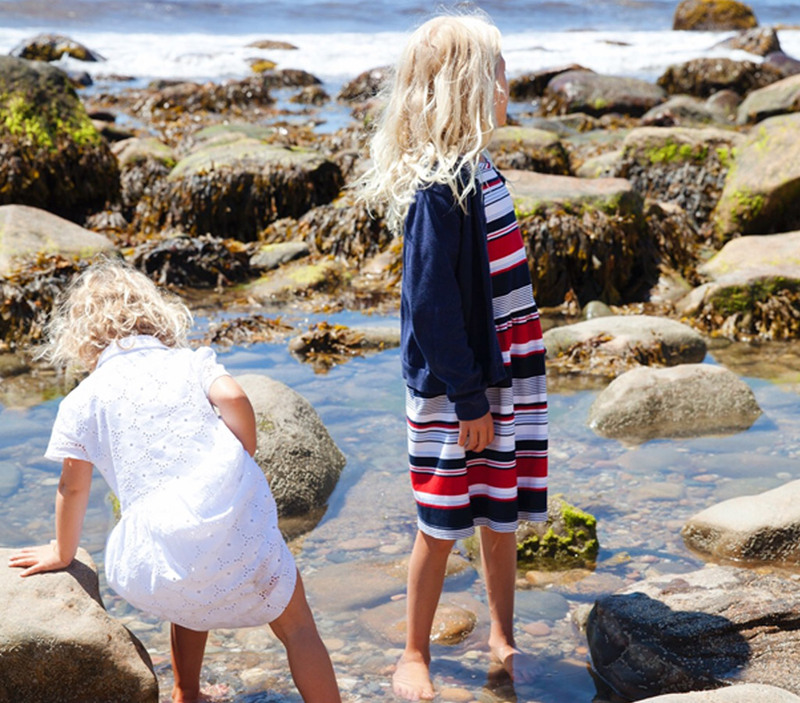 Daughters Lilly (right) and Nora (left) explore one of the many tide pools along the base of Mohegan Cliffs. 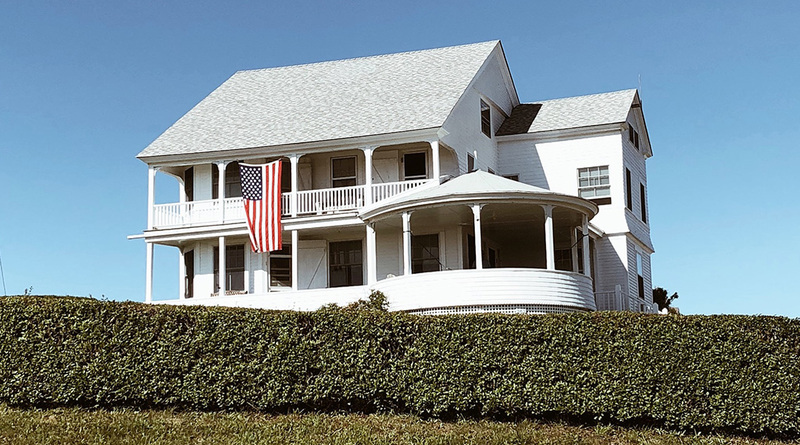 The rustic charm of Block Island’s architecture is a feature at this privately owned home. 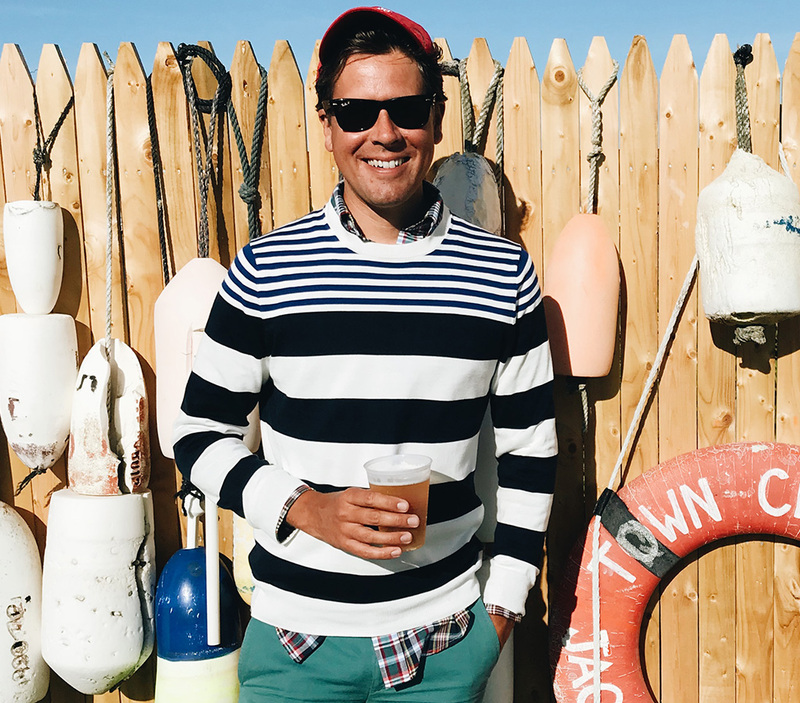 Beer in hand, Howie takes in the nautical theme of The Oar—one of Block Island’s most popular gathering places. Jana Guja sits on the jetty at Mohegan Beach as daughter Lilly checks out the waves. 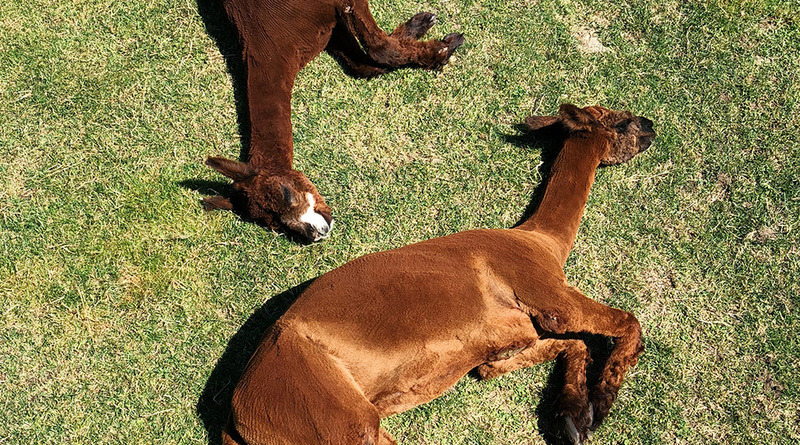 The alpacas at Abrams’ Animal Farm adapt well to summer on Block Island. 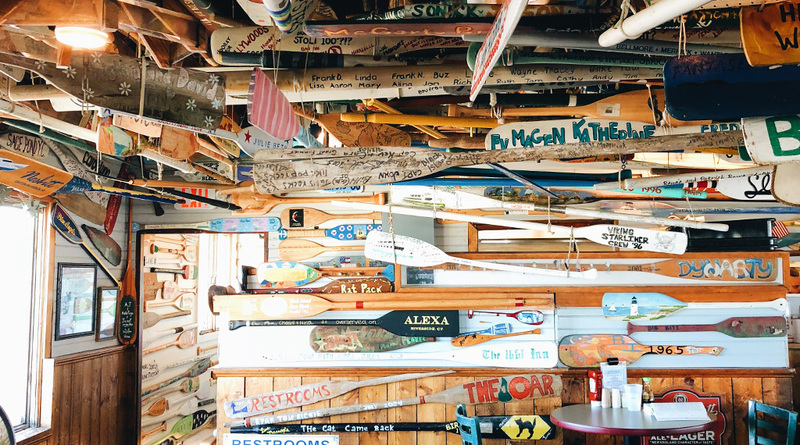 The interior of the aptly-named The Oar pays tribute to the nautical culture that infuses all of Block Island. Traditionally, sailors passing through here leave behind an oar with the name of their boat. The photogenic U.S. Weather Bureau and Department of Agriculture building is a historic structure from 1903. Howie Guja is an agent at Old Purchase Properties in Bellport, Long Island. To contact him, call 631.286.2424. Or follow him on Instagram @howieguja for a daily dose of old homes, wooden boats, real estate and more.